We’ve rounded up the suits, goggles, caps, and apps you need for a smoother pool or open-water workout. Here are 15 essentials for your swim gear starter kit. Swimming may seem pretty simple from a gear perspective. But whether you’re lap swimming to gain fitness, using the low-impact sport to recover from an injury, or tackling a triathlon this summer, you’ll quickly realize those Dollar Store goggles aren’t going to cut it. And that swimsuit that worked for hanging out on the beach? Well, it might fall off when you’re paddling in the pool. Luckily, swim gear doesn’t get too pricey. But you can avoid some of the costly pitfalls by preparing properly for the pool. Here’s all you need. For those new to the sport, finding a pool with the right vibe can be challenging. But the Swim Radar app can help with that. You can specify a location, pool type (or even open water), and the time you want to swim. The app will show you what’s available near you. You can even specify if you want a pool with 25- or 50-meter lanes. For someone who’s on the road a lot, this app is a godsend. But even if you prefer to stay local, checking Swim Radar might alert you that there’s a weekly open-water swim happening in the lake near your house. Don’t know how to swim? 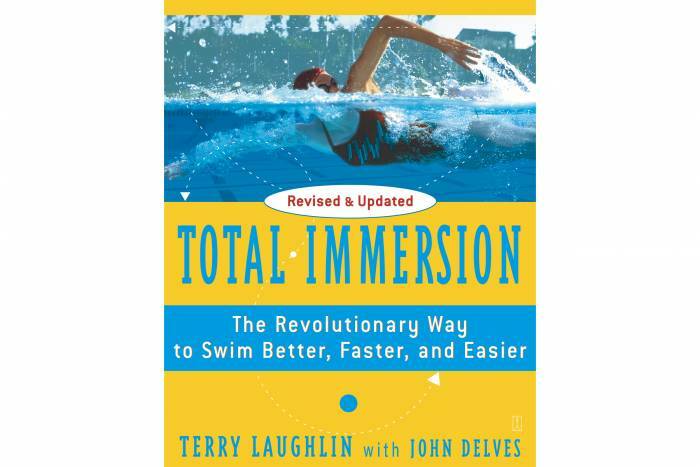 While investing in a coach is a great way to get started, you can save some cash by grabbing a copy of the iconic “Total Immersion: The Revolutionary Way To Swim Better, Faster, and Easier” by Terry Laughlin. The book isn’t about speed, but rather stroke efficiency, which is arguably much harder to master. 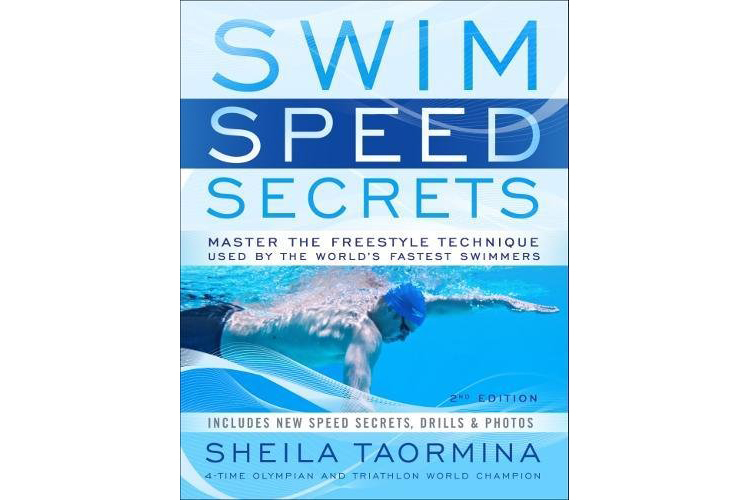 If you’re a competent athlete and not afraid of drowning, this book will help guide you in freestyle swimming more effectively. And at $7, it’s worth reading before signing up for swim lessons. You might find you don’t need them. Or, if you do end up getting a coach, you’ll already be a few steps ahead. You’ve already mastered the “get across the pool a few times without feeling like you’re about to die” part of swimming. Now it’s time to move on and get a bit faster. Sheila Taormina’s “Swim Speed Secrets” is a great second book to delve into after you’ve gotten comfortable in the pool. And it’s ideal for triathletes looking to improve swim times. Taormina is a four-time Olympian, gold medalist, and triathlon world champion: She knows what she’s talking about. This manual is packed with great advice, drills, photos, and even some dry-land exercises that will help you make waves in the pool. The swim cap debate is a tough one. Some people prefer a smooth silicone swim cap because it doesn’t catch on hair as much. But it also tends to slide off midway through a workout. Most old-school swimmers opt for latex or rubber, like Speedo’s simple latex swim cap. Those race and logoed swim caps you see swimmers wearing? All cheap latex — because they stay in place! The Speedo cap is available in a huge range of colors. And while it does tend to get bleached out if you swim in a chlorine-heavy pool, it won’t slide off your head in the middle of a hard set. These TYR Sport Special Ops 2.0 goggles are a bestseller for a reason: They’re comfortable for most people, which is a tall order for goggles. They also don’t leave uber-deep goggle marks, and the wide rubber on the goggle pieces and straps make them comfortable and solid. They stay in place even while getting kicked and smacked in churning water during a triathlon. And polarized lenses make them great for swimming in open water as well as in the pool. While a little on the pricey side, well-fitting goggles are worth any extra investment. 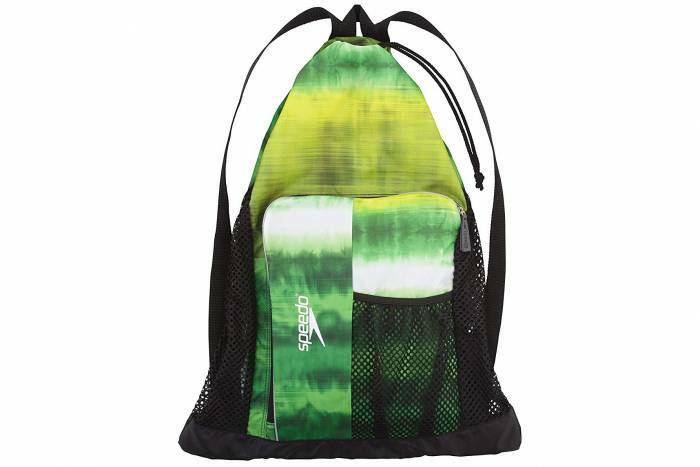 Trust me when I say you’re going to want a mesh bag to carry your swim gear to and from the pool. Otherwise, your favorite gym bag will smell like chlorine (at best) or start molding (at worst). The Speedo Deluxe Ventilator Mesh Bag can handle your soggy suit and damp towel without making a huge mess. It’s got just enough pockets to keep your gear organized for easier transitions to the shower and reduced time spent pawing through your cave of a bag. Fogging goggles is the fastest way to ruin a swim, especially an open-water race. 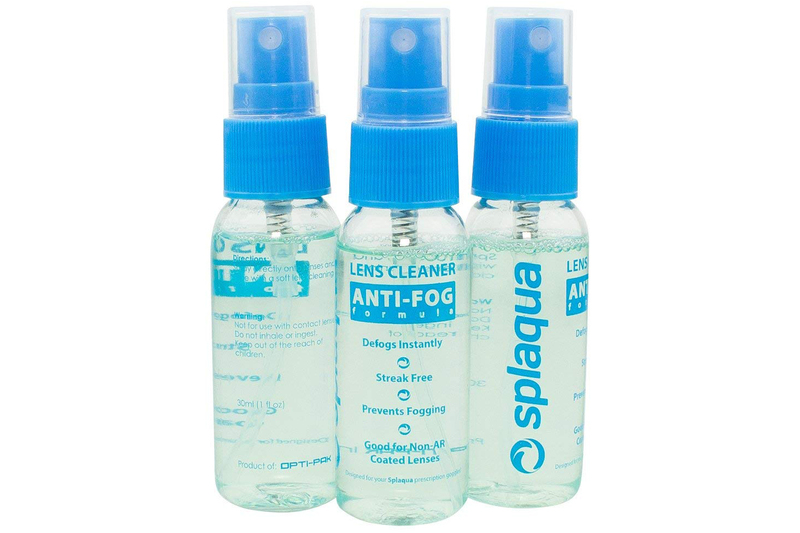 So prepare your goggle lenses with a drop of antifog spray gel before hopping in the water. If you’re not willing to drop the few bucks on antifog spray, try this trick: Rub a bit of spit on the inside of your goggles before putting them on. If you regularly forget to remove your wet towel from your gym bag after getting home, a microfiber towel might be the smartest piece of swim gear you own. 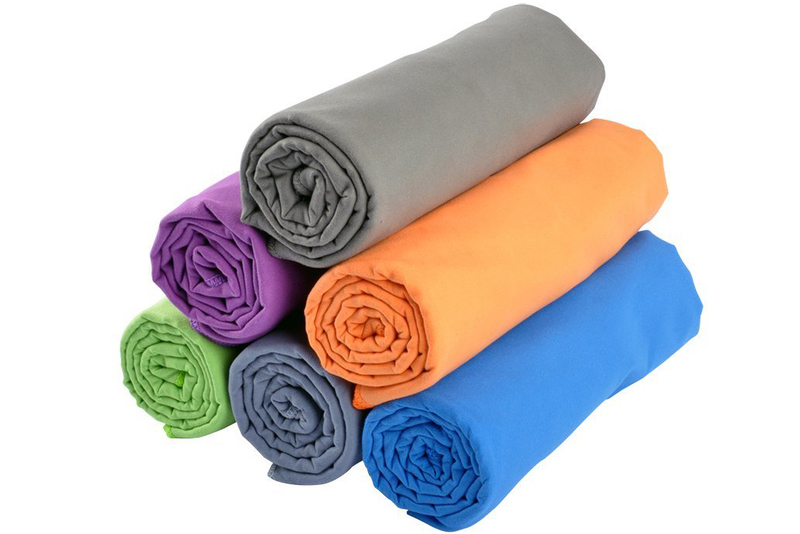 The Microfiber Towel by RainLeaf is also a serious space-saver compared to your normal beach towel and can be stashed in any mini gym bag. It also has a loop for easy poolside hang-drying before you start your next swim. It comes in tons of color choices and has solid absorbency and quick-drying antibacterial fabric. Although it won’t be as cozy as a big, warm beach towel, it’ll get the job done just as well. Jammers: Speedo’s genius solution for guys who want the speed of wearing a tight-fitting bathing suit but draw the line at the classic Speedo brief. The Endurance+ Polyester Solid Jammers fit comfortably snug but have enough leg coverage that you won’t feel awkward on the pool deck or on the beach. Available in six colors and designed to be chlorine resistant, the shorts will last through as much training as you can handle. There are tons of swimsuit options out there. But for everyday pool sessions, I keep coming back to this simple solid-black TYR swimsuit. It’s inexpensive — around $55 depending on size and color — and fits well without feeling like a sausage casing or a flashing hazard when you push off the wall. The straps hold up to plenty of wear and tear without stretching while the neckline and legs holes are modest without being uncomfortably constricting. The color combinations are simple but fun. It’s also UPF 50 for open-water swimming and optimized for chlorine immersion for hours at a time. OK, you’re swimming laps. If you have an Apple Watch Series 2 or later, you can use the smartwatch’s health app to count your laps. But if you don’t have a watch smart enough to track your swim progress and you’re not a fan of counting in your head, consider a lap counter. 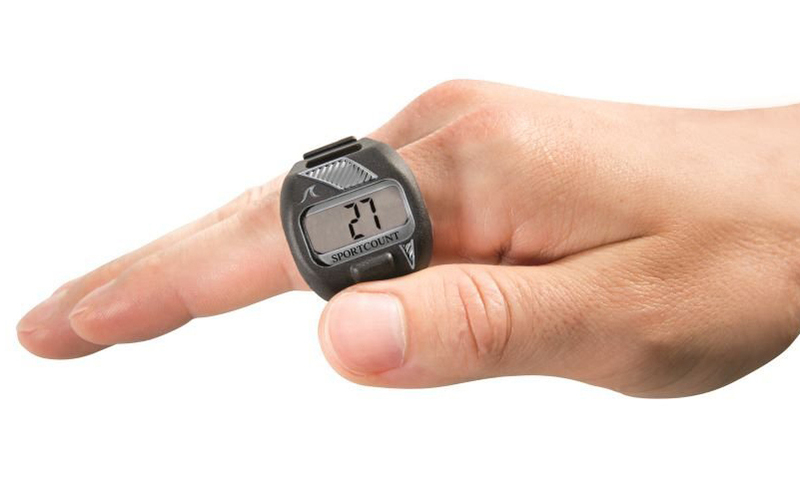 The SportCount LapCounter is worn like a ring on your index finger. For each lap, you can quickly press the counter with your thumb to keep track. This may seem silly for short sets. But anyone who’s had to do multiple 400-meter repeats understands why a tool like this is so valuable. When you first start swimming, you should focus on learning how to do a decent freestyle stroke without any tools or toys. That’s the Total Immersion theory, and it’s a solid one. 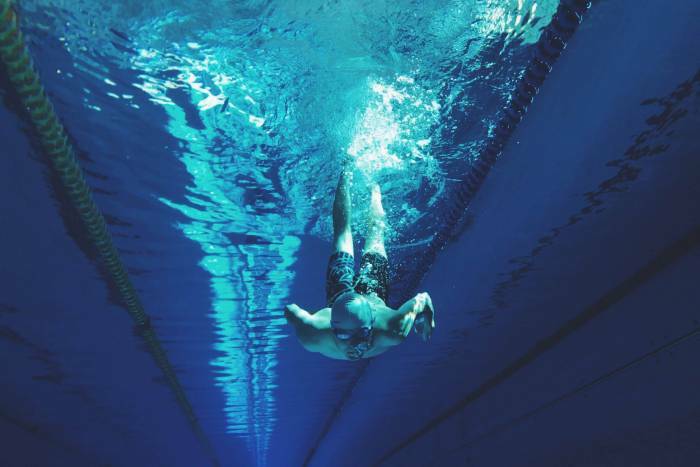 But once you’ve gotten the hang of swimming laps, you can start adding props to break up your workout, add challenge, and increase efficiency. If you’re serious about drills in the pool, hand paddles are the step after a pull buoy. They essentially turn your hands into paddles like you’ve become a frog with webbed fingers. And they help you determine the most efficient hand position for speeding through the water while giving you a serious upper body workout. 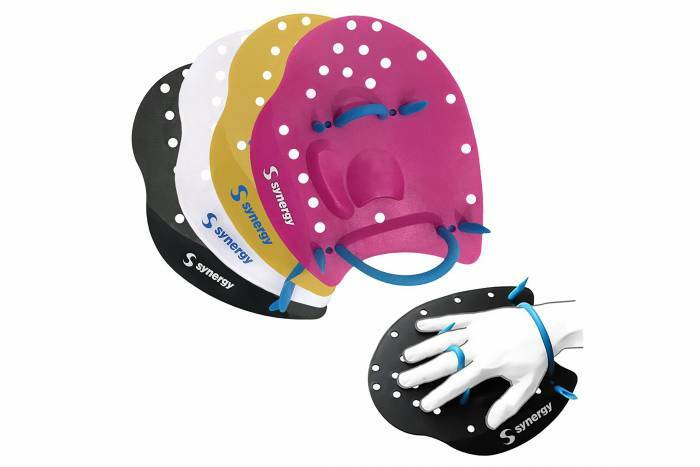 The Synergy Hand Paddles are also a good way to break up a long workout. This swim gear prop comes in three sizes and has adjustable straps for a perfect fit. Heading outside? The Xterra Volt triathlon sleeveless wetsuit (available in men’s and women’s versions) is a 3-mm-thick sleeveless suit that’s great for most moderate climate conditions. At $119, it’s an amazing value for a starter wetsuit — almost as cheap as renting one! But it will also work for veteran racers looking for a budget suit. So far, mine has been through four years of open-water swimming and shows zero signs of wear and tear. The sleeveless model means that the neck and chest areas feel much freer and less constricting, so those who find full wetsuits a little claustrophobic will be psyched. There are nine sizes available in men’s and women’s, and Xterra’s 30-day try-and-test program guarantees you’ll find the right fit. 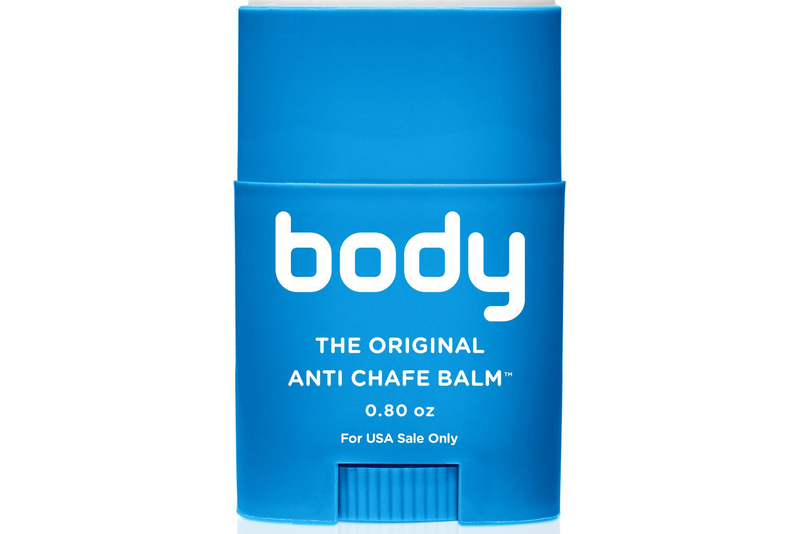 The vegan-friendly, petroleum-free Body Glide won’t wreck your wetsuit — don’t use Vaseline! — and is super simple to apply. Your skin will thank you.